If you think your world is changing at a dizzying pace, you ain’t seen nothin’ yet. That’s my takeaway from an event I recently attended, the PrecisionAg® Vision Conference my company, Meister Media Worldwide, hosted in Arizona. In the world of high-tech, they like to talk about “disruptive” technology. Disruptive in this sense is a good thing, meaning it shakes things up, and allows people to do new things – or at least do what they have been doing faster, cheaper, better. Get ready for a whole lot of disruption. The first day of the event featured an eye-opening tour. 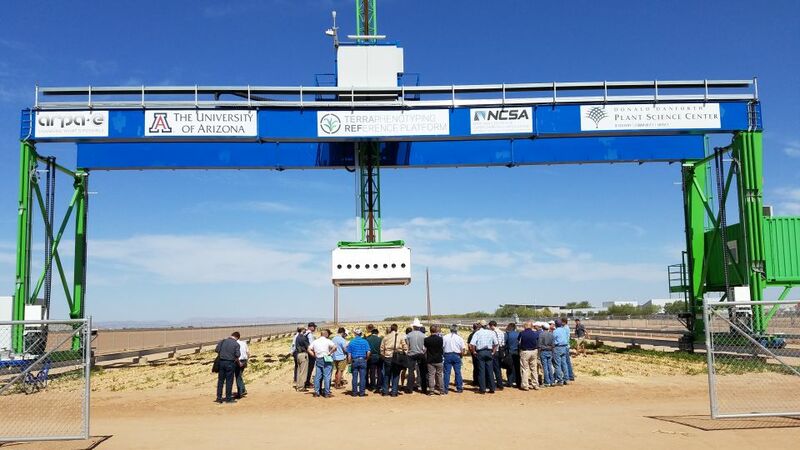 The first stop was the University of Arizona Cooperative Extension’s Terraphenotyping Reference Platform in Maricopa. It’s a field scanalyzer, a 50,000-pound unit suspended over a one-acre field. It generates an astounding five to eight terabytes of information each day about that field that will be processed by supercomputers. The crop is sorghum, for biofuel, a project funded by the Department of Energy. It’s an extreme example of the amount of data that can and is being collected. The amount of data being generated is growing at an exponential rate. Growers who figure out how to use that data – or have a go-to techie who can massage it for them – will have a huge advantage.